indian food wine pairing – Would Bukowski Drink It? Last night’s dinner was Indian, which for me requires a nice Rosé. The Chateau de Lancyre “Pic Saint Loup” Rosé was a new addition at my local market with some good blurbs so a taste seemed in order. Out of the bottle and into the glass…. The color was a clear blush rose with slightly peachy orange tones bright and to the rim. Very clean. The nose of the wine was a burst of fruit, floral and citrus with strawberry, orange, grapefruit and a touch of clove and spice. On tasting, again, fruit was first and foremost (as it should be with a Rosé). Bursts of watermelon, strawberry and rhubarb with a little spice and herbs (most notably a little mint). 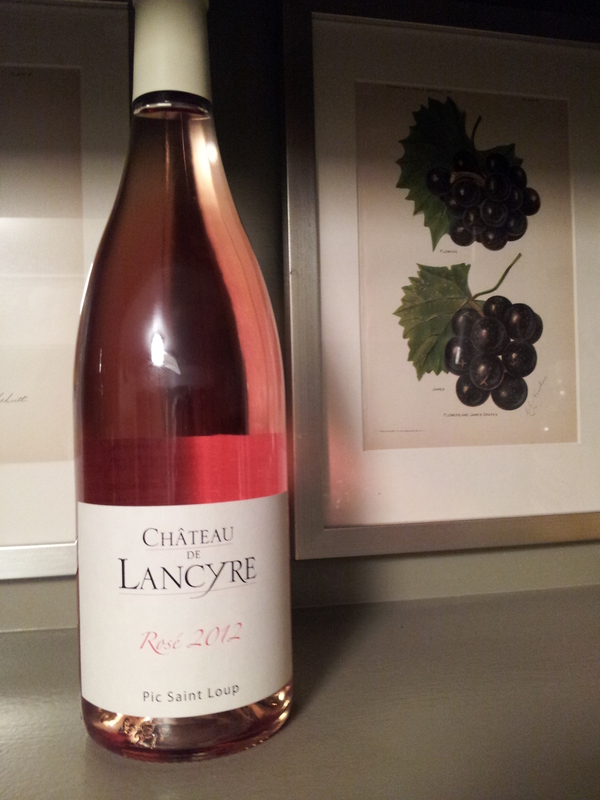 The Chateau de Lancyre “Pic Saint Loup” Rosé is dry with a nice full finish. Slightly sour with a mouth-watering effect. It’s great on its own but for pairings, I’d suggest this as perfect accompaniment to grilled meats, BBQ, shrimp, ethnic foods that tend to be sweet, spicy or savory, like Indian cuisine, as well as lighter yet hearty meals (Cobb Salad). Overall a really really good Rosé. Highly recommended and easy to drink. I plan to add this to my short list of Rosé to enjoy now and definitely this summer. Would Bukowski drink it? You had me at “easy”.